Ofcom has closed its investigation into how Premier League rights are sold in the UK following the League’s decision to increase the number of matches available for live broadcast in the UK, to a minimum of 190 per season from the start of the 2019-20 season. The regulator said that the decision, which will see at least an additional 22 matches per season aired over the number sold for live broadcast during the 2015 auction, built on commitments made by the League to the EC in 2006. The decision to shut down the investigation means that the ‘closed period’ whereby matches that kick off between 14:45 and 17:15 on Saturdays are not televised, will be maintained. Ofcom cited consumer research that showed a high proportion of fans preferred to attend matches that kick off at 15:00 on Saturdays. The research found that a fivthe of football fans wanted to see more matches televised, while a similar proportion were happy with the overall availability of matches, but wanted to see different matches shown. Ofcom said that the range of views meant that significant further consumer research would have been required to conclude the investigation, and that it had concluded that its limited resources would more effectively be focused on other priorities. 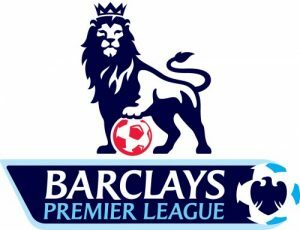 Liberty Global-owned cable operator Virgin Media, which had filed the complaint that led to the investigation, said it welcomed news that the Premier League will make more matches available to be broadcast live on TV.